AUGUSTA, Maine (AP) — Republican Gov. Paul LePage said he’ll continue denying applications under a voter-approved Medicaid expansion until lawmakers provide funding under his terms. LePage’s administration previously declined to comment on its plans for handling Medicaid applicants. Advocacy group Maine Equal Justice Partners is suing the governor’s administration and has shared a copy of a letter from a Mainer denied Medicaid expansion. The group’s executive director Robyn Merrill has said the group hopes that Mainers who have applied for Medicaid expansion could eventually receive retroactive coverage. 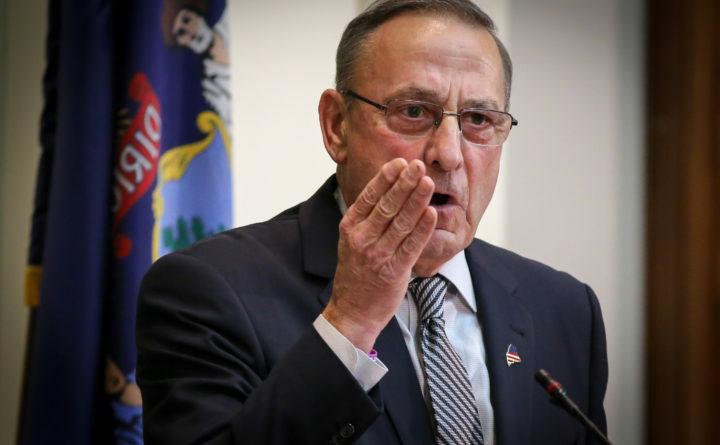 This summer LePage vetoed a bill to hire over 100 new staffers to roll-out Medicaid expansion and use budgetary surplus and one-time tobacco settlement funds to make sure Maine has enough money for its share of expansion’s first year. LePage has warned lawmakers that they couldn’t raise taxes, rely on budgetary gimmicks or dip into the state’s rainy day fund to fund Maine’s share of expansion. Critics, including Democrats, say the governor has no legal justification for such demands. The governor informally floated the idea of raising taxes on hospitals to pay for Maine’s share of expansion, but there was no legislative hearing. The governor told AP that he brought the idea up to lawmakers, but they rejected it.